From an ‘Onaapo’ Christmas to ‘worst Christmas ever’: A tale of deceitful change! Just a year ago, around this same time, Christmas was buzzing around Ghana. Such was the pomp and pageantry in the country, that the only ones that were left out of the Merry of Christmas were NDC faithfuls, like myself, who were grieving, and struggling to come to terms with our painful loss in an election we were ever-so confident of winning, given our impressive record of governance under John Dramani Mahama. Dear Ebony, Our wise elders once said the rat which makes its abode by the popular village path is either extremely courageous or a speedster. In the same way, it takes more than courage for a married man to openly write a love letter to another woman. Deep in the heart of Ashanti Region is a serene space cultivating students since 1957. 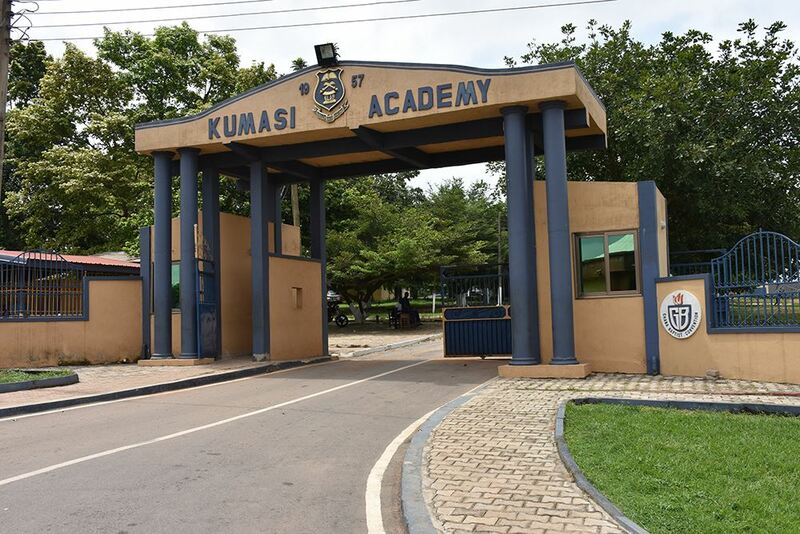 Equipped with one of the best science laboratories in the country [in that era] and a flourishing greenery, Kumasi Academy, KUMACA, is a lasting legacy. One of the beautiful architectures of the School is it's beautiful, round Science Laboratory building -- it is the Mecca of academic excellence. "Eight hundred," says the auctioneer. "900 ... 1,000 ... 1,100 ..." Sold. For 1,200 Libyan dinars -- the equivalent of $800. Lately, we have all been witnesses to horrifying spectacles of victims of explosions involving petroleum products in some fuel stations and domestic places in different parts of the country. Is money leaking from your business without your knowing? He used other people’s resources and you can do it too. 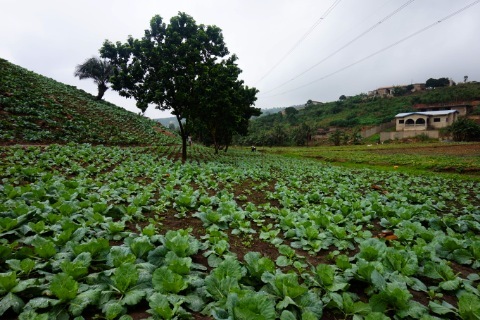 Here is how it all began..
Agriculture is the backbone of Ghana’s economy with about 80 per cent of total agricultural production attributed to smallholder farmers including women. Floods as well as droughts and heatwaves are increasing and will continue to do so in Africa and South Asia. Farmers and governments need to adapt to this changing climate regime. But adaptation requires decisions to be made under high uncertainty, often with incomplete knowledge. This makes planning and investing in it difficult. The government of Ghana is focused on creating jobs for the youth of this country. This is evident in programmes such as “One District, One factory” and “Planting for food and jobs”. Probably the most controversial subject of public discussion in the nation this year – 2017 is the recently implemented Free SHS program. The President Nana Akufo – Addo led government’s decision to expand its flagship Free SHS policy to cover BECE graduates since 2014 has received praise from various quarters of the Ghanaian public. Ecobank Ghana Limited has added its voice to calls for support for victims of the Sierra Leone Mudslide disaster. Dr. Knii Lante Blankson strolled into the garden of Paloma hotel with a friend, his wife and two lovely children; a boy and a girl. Casually dressed in a check short sleeve shirt and blue black jeans, he told me he has been on leave for the past few weeks, trying to rest and also use the time to work on an upcoming health project and musical concert at Jamestown, Accra. His black beret, a symbol of his addiction to revolutionary philosophy roiled in social justice, firmly sat on his head. Smiling and occasionally running his hand in his beard, part of the ingredient of his identity, Knii Lante, who was born into a family of physicians, has been busy promoting his new afro-pop single “YOU,” which features Daavi Diva Feli Nuna, the silver hair soul singer, whose unconventional approach to music was something he could not ignore. He said once they were done with the consultation, which was brief, a call was made and Feli Nuna agreed to be on the song. The single has elements of zouk, R&B, soul and complimented by an afropop rhythm. An idealist whose lyrics traverse the bars of reggae, pop, R&B, afro-pop and hi-life, Knii Lante is a trained medical doctor and specializes in internal medicine as Diabetologist and Cardiologist. A former chief resident at Korle Bu Teaching Hospital, he now works with the Trust hospital where he has been since 2007. “What I do mainly is working with drugs (medication) because when somebody comes with a heart attack, there is nothing you can cut,” he said. “For internal medicine we deal with diseases that don’t need cutting or even some of the diseases that need cutting, we refer to the surgeon,” he added. The job of a medical practitioner revolves around the clock and one can be called at anytime, whiles even on the road from the same facility, and Knii Lante knows that very well. Especially as an artist who divides his time between the ward and the studio, there have been instances where he had to temporarily suspend a recording session in order to return to the ward. “It has happened so many times. I am recording and I have a call and I have to stop,” he said, adding: “And usually am so angry; am like wow, what is all this,” he said. But his anger often turns into “gratification” especially after the sick patient recovers from the illness. Another incident was when he had to rush to the hospital for an emergency situation while waiting to be called to perform at a concert. “I was back stage just getting ready to go and perform and was called for an emergency. My friend had to inform the stage manager and organizers that this had happened, so we quickly had to rush to the hospital,” he told me with a smile. “I thought I was just going to go for thirty minutes and one hour and come back,” he continued. Four hours after leaving the conference centre, venue for the event, he returned to perform before the show was over. And the fans gave him a rousing welcome after it had been explained to them the reason why he had to leave to the hospital. Versatile, fluid and gifted in playing the guitar and piano, Knii Lante continues to defy the limits placed on him by a demanding profession to provide classy songs spanning beyond a decade. His first album, “Love & Revolution” mostly produced by Zapp Mallet. The sixteen track album spans across different genres from Afro pop, zouk, reggae, soul and Ballad. Six months after the release of the album, one of the songs, “Big Tree” caught on with the public. It carried a simple message; corruption is a canker that needed to be fought. He sang from the heart. Ironically, it was also the election season and the song became an anthem for some of the parties, especially the opposition, who rallied their members for a last push to the seat of government. But there was more to the song than the political colorization given to it. His second album, “True Feeling” was produced in Jamaica and reflected the good mood he was in at the time. An entirely reggae album, it has spices of love and revolutionary songs. Knii Lante has several singles including “Bo Noo, Legos To Vienna” and many cover versions, including “Thinking Aloud” by Ed Sheeran. Award winning artist, Knii Lante’s trophy cabinet includes Best Male, Collaboration of the Year with the late Michael Dwamena for “Ngozi,” Best Music Video and lots more. Reading, like writing lyrics, comes to him with ease, and he spends time scavenging through books of revolutionaries like Kwame Nkrumah and like minds for tips to compose songs. It is clear the black beret on his heart is never worn in vain. Ghana saw a regime change at the 2016 electoral poll. Against many odds, the opposition party took the mantle of leadership from an incumbent that had made significant contributions to the country's infrastructural landscape. The winning formulae lays in the obvious inability of these high-end infrastructure developments to translate into tangible short-term economic benefits for the masses. The promises and prospects of the opposition sounded enticing and reassuring, with particular regard to the promise of job creation and economic transformation under the flagship One District One Factory Policy (1D1F). The Government has indeed shown commitment to the implementation of this strategy, providing a roadmap for its implementation within its first 100 days in office. The policy has also been under scrutiny by various arms of society and received significant coverage in the media. However, it is common to have the media replete with much news on a topic without the depth of analysis as is expected in carefully researched reports or publications. This publication seeks to present a middle ground approach, offering just enough for public discourse yet just as poignant and factual. The objective of this article is to appraise the 1D1F policy under prevailing national and international trade environment, identifying potential pitfalls, and offering recommendations to ensure its successful implementation. This comes on the heels of a national dialogue on strategies for its implementation, with stakeholder consultations between Government and the private sector today (Monday 22nd). The initiative has received much interest with many private investors both home and abroad reportedly engaged with the special institution in charge of its implementation. It is critical to note, that just like many well-intended developmental agendas pursued by past governments, there remain significant challenges that require attention and careful redress. Ghana's Industrialization; an abridged history. It is important to revisit Ghana's attempts at industrialization in past decades to enable a dispassionate dialogue on the 1D1F policy. This is necessary as the past often provides a blueprint for the future either as a guide, in repeating past successes or avoiding mistakes. Ghana, like many African countries in the post-independence era, adopted Import Substitution industrialization policies, remnants of these endeavors are scattered across the country in the form of numerous abandoned and diversified state enterprises. In the wake of trade liberalization under World Trade Organization (WTO) agreements, and the subsequent fatal experimentation under World Bank's Structural Adjustment Programs 1 and 2. Industrialization balked, giving in, to a flood of cheaper imports from Asia, particularly China. Various attempts have been made under successive governments to resuscitate the countries industry with little success. Examples include the Presidential Special Initiatives (PSI) on garment, technology and agro-processing which were designed to create protected enclaves and export promotion zones in an effort to access opportunities under unilateral and multilateral trade Agreements such as the African Growth Opportunity Act (AGOA). It remains regrettable that all of these failed in the face of daunting challenges to overturn the tide in favor of industrial and economic growth. It is in the light of this, that the current 1D1F requires critical assessment and iteration to succeed. The challenges of industrialization remains, they include; Challenges with energy, Low revenue generation with its resultant budget deficits and low investments in infrastructure, lack of data and statistical records to inform long-term decisions, low levels of skill and technology, volatility in the cedi's exchange rates, high cost of borrowing, corruption in public service and bottlenecks at ports that hamper supply chain and imposes constraints on logistics. The list is endless the challenges grave, there is, however, the need to address the industrial needs of the country at any opportunity as the country strives towards a middle-income economy. The initiative is thus commendable and the enthusiasm appropriate. The 1D1F and what needs to be addressed. The foundations of rapid industrialization and its attendant economic growth are infrastructure development. Foreign direct investments are courted with ease when adequate amenities including good roads, efficient transport systems, and well planned industrial zones are available. Accessory to infrastructure is an enabling business environment and access to reliable and affordable energy. The challenge, however, is the lack of commitment to such investments since they require huge financial outlays and gestate over long periods in Return on Investments (ROI). Under the current short termed political dispensation, no government in its right disposition is willing to commit to such an endeavor, examples avail under the tenure of the then President Jerry John Rawlings when efforts at infrastructure development were labeled as futile with the opposition leader and subsequent president questioning whether we could "eat roads". Ironically, the same slogan found space in the campaign of the opposition party in the run up to the 2008 polls when the late President J.E.A Mills rehearsed this question back to President John A. Kuffour. The question of infrastructure development remains a thorny issue in the body politic of the country making it a tough path to pursue by incumbent governments. Nonetheless, it remains critical and a promise of industrialization may not be realized without a full-fledged attempt at infrastructural development. More so, the nature and design of the 1D1F differ significantly from the PSI, while the later focused on establishing industrial enclaves within already industrial ready cities with the relevant infrastructure and easy access to ports, the former requires good linkages between supply and distribution chains which rely strongly on good road networks and rail services. Largely, a rapid implementation of this policy without a due recourse to providing this critical need will remain its bane. Examples of critical linkages include the golden triangle, which spans the Greater Accra, Ashanti, Western, and Central Regions of the country, with further extensions up North, this proposed freeway with the potential to catapult the economy remains on the drawing board. There is also the rail transportation project, which saw some efforts under the previous administration with renovation works commencing on the Takoradi, Accra and Tema rail stations. The need for infrastructure cannot be overstated; it is key to the success of 1D1F. It is recommended therefore that efforts at Private Partnerships also cover investments in public infrastructure to augment the industrialization drive and not only in the establishment of factories. The 1D1F policy differs once again from the PSI in respect to markets. While the PSI was export oriented, the 1D1F is best tailored to the needs of local markets, making it another form of Import Substitution (IS) program. The challenge, however, remains with the current regime of World Trade Organization's (WTO) policies of trade liberalization as well as the re-introduction of economic reforms by the International Monetary Funds (IMF). The question remains, what forms of protection will avail to investments under the 1D1F policies? In the absence of government subsidies, can local products compete favorably in price against heavily subsidized and cheaper imports? How can local industries cope with the current regime of high utility bills and inconsistent supply thereof? These issues need to be addressed to encourage and instill confidence in the investor community beyond mere rhetoric. There must be a policy framework addressing each conceivable challenge and providing alternate solutions to ensure long-term sustainability. Ghana's banking and financial sector is best described as risk averse. There is little or no commitment to investing in businesses due to high levels of risk associated with it. Interest rates are astronomical, and financial assistant often inadequate, setting up enterprises to fail and leading to high levels of repayment default. The financial sector is the vehicle of industrialization; investments that make a strong impact require huge financial outlay often unavailable to entrepreneurs, thereby driving to financial institutions for assistance. It is heart warming that the government has included in the implementation plan of the policy financial training and business development services to enable the business community to develop bankable proposals. It remains to be seen if such training and monitoring are pursued to ensure the success of the policy. In matters of internal borrowing by the government, which leads crowding out of the private sector, the NPP are no novices and have a good track record as was evident in the ex while Kuffour Administration. However, it is important to involve the private sector and financial institutions in developing a roadmap and establishing strategies to facilitate the successful implementation of the 1D1F policy. The campaign to buy local remains a paradox and a lip service rendered by successive governments. While charging the public to embrace locally manufactured goods, the formal president John DramaniMahama, revealed to parliament and the entire nation that he was adorned in a locally manufactured shoe. News surfaced no sooner, of the government's expenditure on imported garments and shoes purposed for the free school uniform program. Another case of misdirected expenditure was the procurement of furniture and upholstery for the renovation of parliament house. This phenomenon is common in all fronts of government procurements, with greater preference accorded cheaper imports above locally manufactured goods. There is a looming danger in the implementation of the 1D1F if the focus is unilaterally at creating jobs and not developing markets for the products. The campaign on buying local must be intensified with government leading by example and various public institutions, schools and private organizations following suit. It is important to note, that while consumer perception of local products is the result of colonial orientation - which presents anything of foreign origin superior to local products, there remains a genuine concern on product standards of locally manufactured goods. The contribution of Ghana in exports under AGOA is insignificant, often owing to poor product standards that fail to make it past custom checks in the United States. There is an ingrained attitude of mediocrity when it comes to product finish to otherwise good quality products. The current winds of ethical sourcing and supply ‘change' coupled with rising labor cost in China positions Ghana and other African countries advantageously to develop into alternative sourcing hubs for giant retailers across the World over. The government must address this by increasing support to Technical Vocational Education Training; this must be made central in the implementation of the free Senior High School education program. Industrialization is not possible with an army of unskilled workforce and the success of the policy rests heavily on the capability of the Ghanaian workforce, addressing both capacity and attitudinal change must be an over arching goal. While the project stresses linkages between industry and organizations such as the GRATIS Foundation, it is unlikely such collaborations are possible immediately. This is due to the state of disrepair of technical facilities and infrastructure owing to lack of funding and prolonged neglect of these institutions. Funding must be sought and allocated to revamp and retool them to ensure their contribution to the policy. There are various levels of industry within the economy; the range includes light manufacturing through to heavy and highly technical forms. It is important to classify the scope of activities under this policy since each type of industry requires a different regime of policy interventions. There is much ambiguity with references to factories when stated capital concessions by government range between $5000 and $10,000. It is important that various classifications are established with regards to the number of employees, level of automation and level of investment necessary to start and implement it. The scope also identifies specific arrears of critical need to both local and export markets, for example, the Textile and Garment industry will require a significantly different approach and policy direction in comparison to the Agro-Processing industry. It is recommended that efforts are targeted at developing critical sectors of value addition to abundant raw materials and fundamental sectors with the greatest potential for low-skilled employment. Once again, the focus need not be on starting entirely new ventures when there are enterprises with proven records of sustainability. It is important that government extends a helping hand to Micro, Small, and Medium Enterprises (MSMEs) by strengthening the operations of relevant institutions tasked to support them. Ghana's development under different political dispensations has been checkered. The greatest challenge to transitioning to middle upper-income status has been obstructions in projects and lack of continuity. While lips service is offered, no commitment is made in reality in continuing projects commenced by previous governments. The reason for this lies in disconnection between government initiatives and the mandate of implementation by statutory agencies. Government policies of this nature are premised on rapid economic transformation and attended to with a sense of urgency. In an attempt to circumvent bureaucracy for rapid results, procedures that are critical to long term sustainability are sacrificed. In order for a policy of this nature to be adopted as mainstream national policy, parliament must debate and pass it as a bill after which the statutory government establishment is tasked with its implementation. However the president has prerogative to establish and implement such a policy without recourse to standard procedures under an executive instrument. The later is the obvious choice in expediting the implementation of flagship policies; this leads to the establishment of implementation agencies with mandates that run parallel to that of statutory governmental institutions. Examples from past initiatives include the Presidential Special Initiative (PSI), Local Enterprise and Skill Development Program, Youth Enterprise and Skill Development Centre (YESDEC) and the more recent Youth Enterprise Support Fund (YES). There are indications of a similar path in the implementation of the 1D1F, Government recently hosted a delegation from the Universal Merchant Bank (UMB) where it indicated plans to establish a Public Private Partnership Incubation Center tasked to provide soft services and technical support to aid investors interested in the policy. The challenge with this approach despite its immediatebenefit is the likelihood of waste and duplication of mandate ascribed to statutory government institutions. These government institutions such as the National Board for Small Scale Industry (NBSSI) are under funded, while resources are allocated to recruit new staff, provide office facilities and vehicles for the new establishments. This approach is wasteful and largely unsustainable. There also exists a greater likelihood of abandonment by successive governments, an example of this is the YES project, which is currently in a limbo and will most likely be abandoned, leaving the beneficiaries stranded and disoriented to our loss as a nation. It is recommended that government utilize the appropriate channels to debate, critically analyze, and consider inputs from both sides of the house before entrusting its implementation to a statutory government institution such as the NBSSI. The advantage of utilizing statutory agencies lies in nationwide reach and likelihood of sustainability beyond the term of incumbent governments. In circumstances where specific skills and training are required, such upgrades can be provided through seminars and refresher courses to upgrade the capability of these statutory bodies. The NBSSI and other agencies such as the council for Technical and Vocational Education Training (TVET) must be resourced as a matter of urgency to effectively coordinate the implementation of this policy. While the attempt to establish industrial enclaves across the country is laudable, the quest for decentralization must be pursued with rigor, to ensure access to tools, administrative support, and resources for an effective engagement with the private sector all over the country. This document certainly fails to do absolute justice to this topic, it nonetheless, stirs further debate amongst a citizenry that chooses to act and not remain spectators. The name given by birth is Ghana, an appropriate dub after Gold Coast, the one offered by the colonial masters, according to what they took from us. A good sixty years after independence, the country isn’t dead……but it is not alive. That is the paradox. Shall we stand ‘’God bless our homeland Ghana and make our nation great and strong.” Great. Let’s leave the work to God while we stay on our knees all seven days in the week, praying fervently for a pinch of the manna that fell over 3000 years ago. A holy nation, the opium of religion is all we require to grow. Just enough doses to ensure we never come tete-a-tete with the man with the pale skin. Miracles do happen, don’t they? The beauty of the pledge does not even lay in the divinity of its composition as it does in the innocence of the primary school boy, whose chest slumped up, head held high and hand on heart, gives off his best performance, in words he has no intention of understanding or defiling when he becomes a politician in future. Let it be known to all and sundry, that we have come as far as our intentions and ‘hard work’ could bring us. As far as our determination to leave the people behind as we succumb to the dictates of power and the perks that come with it. As far as gutting the entrails of education to feed our deep pockets while innovative minds erode with conformity. As far as altering the laws of the land to suit political interests, while perfectly concealed in the cloaks of human rights. That said, let me not be an ingrate as to not hail the efforts of some visionaries who saw the country for what it could become and worked tirelessly to achieve that feat. Let it be said of past leaders that they may have seemed incorruptible with unadulterated intentions. But “absolute power corrupts absolutely”. We vote, we win and then we lose. That is the sickening reality of us all, for every leader we ink our thumbs for. So “help us God”………..our newest government is in your hands. The Akufo-Addo government on March 2 presented its 2017 Budget and Economic Policy statement dubbed the Asempa Budget to the nation through Parliament. The Budget read by Finance Minister Ken Ofori Atta a celebrated former investment banker, generated immense interest, praise and criticism across political, business and civil society platforms. Hon. Alban. K. Bagbin declared his interest in becoming president during a media interview recently. Not surprisingly this has sent ripples across the political spectrum particularly within the NDC. This is not surprising for two reasons: (a) Bagbin’s stature in the party and (b) the current open slot within the opposition party as they plot towards 2020. Here we examine the case for and against Hon. Alban Kingsford Sumani Bagbin, MP for Nadowli-Kaleo and Second Deputy Speaker of Ghana’s Parliament. I have read and followed the publications on the online media since 26th April 2017 in which some Members of Ghana’s 7th Parliament have made needless derogatory comments about H.E. Jon Benjamin, the High Commissioner of the United kingdom to Ghana for a letter he signed on behalf of the High Commission in Ghana dated 20th January 2017 and addressed to the Speaker of the Ghanaian Parliament: “regarding the apparent involvement of three serving MPs and one former MP in visa fraud directly affecting the United Kingdom.” The wrong perception has been created by the unwarranted attacks on the person and office of the High Commissioner that by writing that letter he has brought or facilitated the bringing of the reputation of the 7th Parliament into disrepute in the eyes of the sovereign people of Ghana. Holding a diplomatic passport facilitates easy travel as compared to an ordinary or a service passport. Life as an MP in Ghana is traditionally a short-lived stint, partly because of a tradition of mocking longstanding MPs as "Mugabe", writes journalist Elizabeth Ohene, in our series of letters from African journalists. 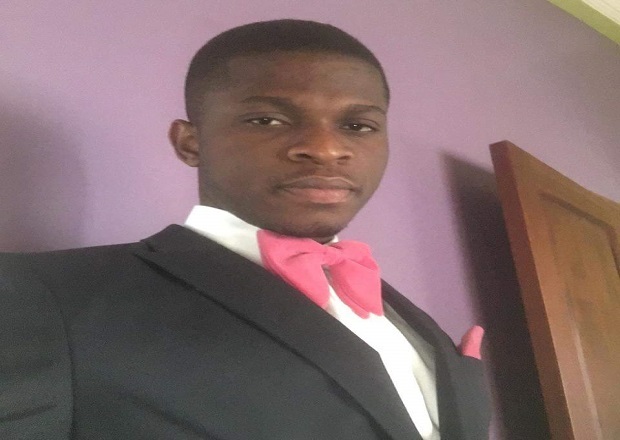 “…instead of a lean government, we have lean kenkey at a higher price, these are the issues which the….government and its activists should be tackling instead of seeking to divert attention with threats, intimidation, assaults, car-snatching, seizure of lorry parks and toilet grabbing”. Nana Addo Dankwa Akufo-Addo, May 2009. Yesterday, I listened to the Minister of Information, Mustapha Abdul-Hamid, on Joy FM’s Top Story with Evans Mensah. He was trying to defend the president’s decision to shoot the number of ministers and deputy ministers to a record 110 since this nation was born. After listening to his submission and the tape from his earlier press conference on the matter, one thing stood out: he did not make any sense. It is not because he is a dumb guy. This is a very smart guy trying to defend a very senseless act. Ghana’s capital on Monday, March 6, marked 60 years of independence from European rule with parades, a burgeoning arts scene – and fierce questions about its past. Last week, the Deputy Executive Director of the National Service Scheme (NSS), Nana Boakye, said the Ford Expedition given to President Mahama by the Burkinabe contractor, Djibril Kanazoe, was among the fleet of vehicles missing at the seat of government. Our political culture must move from words to action! The story is told of a teacher who left his class for some minutes to go and consult another teacher in a classroom about 200 metres from his own. The brouhaha surrounding the alleged kickback offered members of the Parliamentary Appointments Committee (PAC) engaged in the vetting of President Addo Dankwa Akufo-Addo’s cabinet appointees-designate must be promptly resolved, in order to give the new administration the requisite opportunity to begin taking care of the people’s business in a timely fashion. 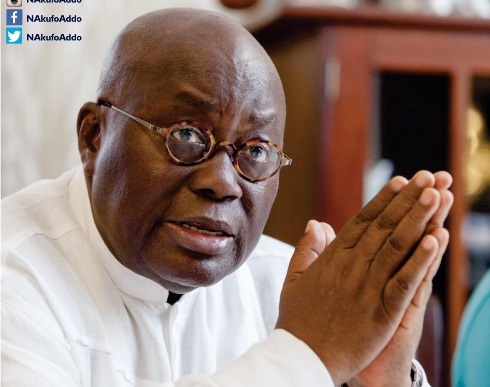 MANASSEH’S FOLDER: Has Akufo-Addo just repeated Mahama’s blunder? Our wise elders have warned us that if a man dies by stumbling over a stone, we do not run to his funeral. For the fear of also stumbling, we walk carefully to such funerals. Perhaps, it is because of this conventional wisdom that some people grumble that President-elect Nana Addo Dankwa Akufo-Addo has made a dangerous gamble. They say this may cause him to stumble and eventually tumble into his political tomb. Not long ago, a certain youthful president of our republic surrounded himself with equally youthful young men and women. He was accused of debasing the Presidency and running the state like a game of candy crush. His critics thought he should have hired experienced hands to handle the affairs of the state. Their beef was not so much about the ages of President Mahama’s appointees. Their main concern was the appointees’ notoriety as vicious attack dogs, which some of them mistook for popularity. They were young men and women whose tongues were sharper than a coconut seller’s cutlass. Most of them were PhD holders in insults and vilification of perceived political enemies. Former President and Founder of the NDC, Jerry John Rawlings, referred to them as “babies with sharp teeth.” Some people believe they were the reason President Mahama lost the election. The attitudes of some people in the Flagstaff House lowered the dignity of the highest office of our republic. In an article titled, “Is the Chief of Staff a Leper?” which I published on this platform, I stated the reasons. When Nana Addo Dankwa Akufo-Addo got the opportunity to be driven in the only vehicle with the Ghana Coat of Arms as its number plate, one of the main expectations was that he would restore dignity to the Presidency. But when he named the people who would be helping him in the Flagstaff House (which he intends to revert back to its original name, the Jubilee House), hell came crashing onto mother earth. When 33-year old Samuel Abu Jinapor was named as a Deputy Chief of Staff, some people from the President’s party raised eyebrows. Then yesterday, the President-elect named the full list of his core staff at the Presidency. 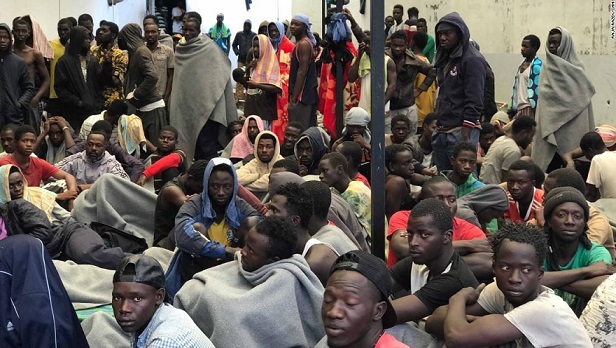 They included 39-year-old Francis Asenso-Boakye, also a deputy Chief of Staff; 33-year-old Eugene Arhin, the Director of Communications at the Presidency; and 30-year-old Clara Napaga Tia Sulemana, a Presidential Staffer. With these names above, can we say Nana Akufo-Addo repeated Mahama’s mistake of surrounding himself with young, inexperienced and incompetent babies with sharp teeth? This question is difficult to answer with a yes or no unless the components of the question are treated separately. Some of them are young. That is a fact. They may fit into the description of babies. They have, however, been mixed with old and middle-aged staffers. The director of State Protocol, Hassan Ahmed, is 62; while the Director of Research, Victor Newman; and the Chief of Staff, Akosu Frema Osei-Opare are both 69 years old. The Director of Operations at the Presidency, Lord Commey, is 48; and the Secretary to the President, Nana Bediatuo, Asante is 53; the same age as the Personal Assistant to the President, Saratu Atta. Do the young people in this team have sharp teeth or tongues? No! Unlike a number of the young men who served in Mahama’s government, it is very difficult to point to any of the above youth as uncouth, insulting or a loose canon. They are disciplined young professionals. My elder brother often says, the alcoholic content in power is 80% so they must be careful it doesn’t get into their heads if they want to keep their sanity. The work at the presidency is an administrative duty and not policy matters that requires technocrats. It doesn’t require rocket science to do that. Any young, loyal, dedicated, intelligent and well-mannered man or woman can do it very well, provided there are responsible adults to whip them into line when they go wayward. It is too early for the NDC to start gloating and comparing Akufo-Addo’s “boys and girls” with those of President Mahama. The question they should ask is whether Akufo-Addo’s boys have sharp teeth like Mahama’s boys. They should ask whether Akufo-Addo’s “babies” will refer to Uhuru Kenyata as the President of Ghana in an anniversary brochure. Will Akufo-Addo’s Director of Communications attack journalists and destroy their gadgets without being punished? Will they pack journalists into a rusty tipper truck to cover a colourful ceremony at the Independence Square? Will Akufo-Addo’s boys and girls be as incompetent, arrogant and repulsive as some of Mahama’s young appointees? We cannot say Akufo-Addo has repeated Mahama’s blunder until we watch how his young appointees’ perform. They should not corrupt themselves. They should appreciate the enormity of the task ahead of the man they are helping to deliver on their party’s electoral promises. They should not turn themselves into “goro boys” and “goro girls” on the corridors of power. If they fail, they will fail Nana. They will fail their party. They will fail their nation. They will fail the young people who look up to them for hope and inspiration. But they will be the ultimate losers. People like Nana Akufo-Addo will soon outlive their usefulness. There’s nothing much for them to aspire to. But those in their 30s have a lot ahead of them. They should know that they have been given these positions not because they were the loudest attacks dogs who were unleashed on political opponents. At the end of their tenure, we need to see maturity. Fiifi Kwetey the MP and Minister of State in 2016 did not sound differently from Fiifi Kwetey the NDC propaganda secretary, but people like Samuel Okudjeto Ablakwa matured considerably in their new roles. I wish the young people who have been given and will be given the opportunity to serve in the government well. Yours is a referendum on the character of the youth. You have been given an opportunity to put Nana Akufo-Addo to shame or to make him proud. Those of us on the touchlines can only offer suggestions and advice. In your hands lies the ultimate choice. God gives us our neighbours but we choose our friends. And it is we, not God, who will suffer the consequences of whatever choice we make. You have no say in who becomes a member of the NPP. But you have a say in who serves in your government. You may make a mistake or two in your appointment but if they mess up, don’t hesitate to fire them. After your tenure of office, let it not be said that your appointees let you down. That will be a lame excuse because on the ballot paper we saw you, and not your appointees. You have the power to appoint and fire. May God grant you the wisdom and grace to excel in your government. When the much-vilified old Man showed up again for the third time, his fate on the chopping board of the sharp-teethed babies and ill-bred adults was more predictable than the electoral results of Bantama or Ketu South. They said he was too old to contest. He contested.